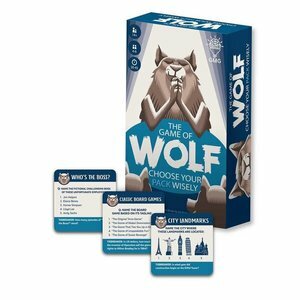 As the Wolf, pick your pack members based on their knowledge of the subject or go Lone Wolf for a chance at double the points! The Pack or Lone Wolf that answers the most correct of the five questions wins the point for that round! Will you go it alone, Wolf? Or will you choose strength in numbers? These are the critical choices you’ll make to be top dog in The Game of Wolf!